A video of Burlington Fire Captain Scott Carpenter explaining the incident can be found here. 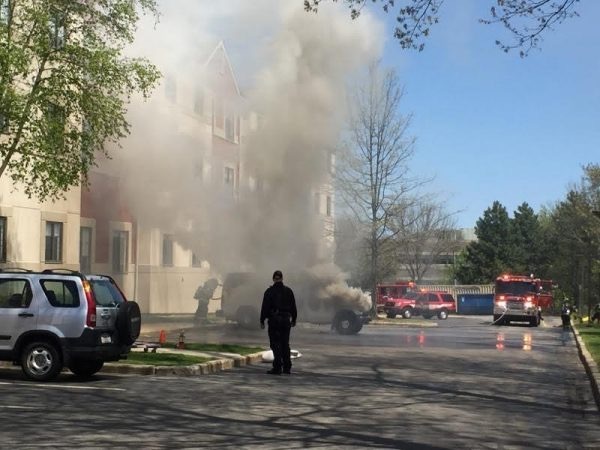 BURLINGTON — Chief Steve Yetman reports that the Burlington Fire Department quickly put out a large van fire at a hotel this afternoon, preventing injuries to the public and damage to the building. 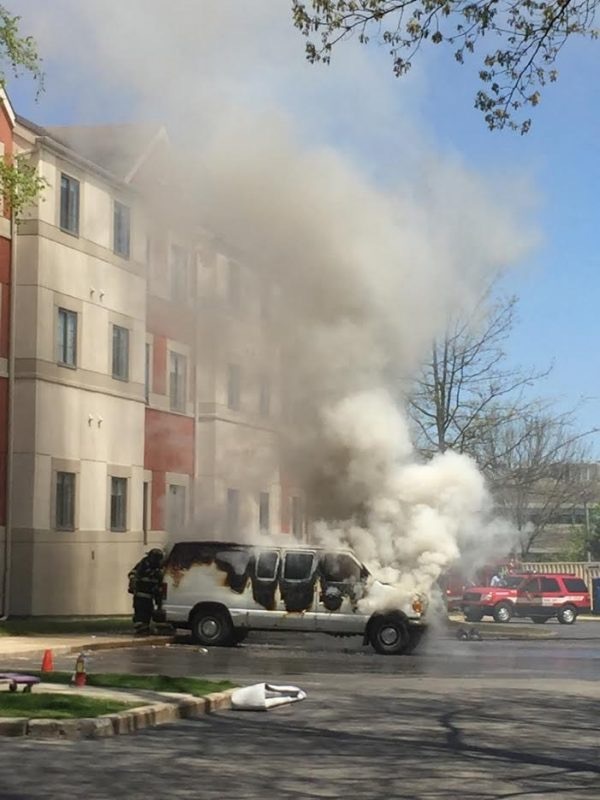 The Fire Department received a 911 call at 12:15 p.m. about a van on fire in a parking lot at the Hyatt House Hotel, 2 Van de Graaff Drive. Firefighters arrived moments later, as heavy smoked filled the air and large flames engulfed the back of the vehicle, which was parked 6 feet from the building. Firefighters were able to quickly put out the blaze, preventing the fire from extending. The hotel was briefly evacuated. The vehicle, which was unoccupied at the time and is believed to be a plumber’s van, had two MAPP gas tanks inside, one of which exploded. MAPP gas is commonly used by plumbers for soldering. Once the fire was contained, firefighters removed the remaining tank from the van. The van was badly damaged and towed from the scene. The cause of the fire remains under investigation by the Burlington Police and Fire Departments. Medford:MHS ROBOTICS TEAM TAKES HOME AWARDS AT NEW ENGLAND REGIONAL CHAMPIONSHIPS!